Should You Start An Online Community? By nature, we humans are social creatures. We crave connections with other people. This, perhaps as much as anything else, explains the rapid growth of social media. And this trait of human nature presents a golden opportunity to online marketers like you and me. Today, let's talk about the concept of “online community” as it relates to marketing. Let's profile a company that has successfully built an online community around its products and see what lessons we can learn from it. Let's also talk about why you might want to start an online community and how you can (it's not as hard as you might think). According to Wikipedia, “community marketing is a strategy to engage an audience in an active, non-intrusive prospect and customer conversation.” Developing a robust online community can be a great way for you to develop fruitful relationships with current and potential customers leading to sales, including those very important repeat sales. A strong community can lead to increased customer satisfaction (including more enjoyment and value from your products), top of mind awareness (TOMA) in the minds of potential prospects in the market for what you offer and thought leadership and perceived expert status for you. As members participate in your online community, especially in discussion forums and Q&A sessions, you can develop an intimate understanding of their needs and wants, helping you to drive even greater engagement, customer and prospect satisfaction and of course, sales! Here's a bonus for you: the topics your online community members discuss with you and each other can give you a steady stream of ideas for you to address in your content marketing campaigns. And of course, you have an audience ready to eagerly devour your content. There are several different forms your online community might take – more on this in a moment, but if you start and run a thriving “members only” paid site with a monthly subscription fee, you can enjoy a very nice stream of recurring revenue. Before we talk more about you starting your online community and what it might look like, let's take a look at a company that has been very successful building and running theirs. 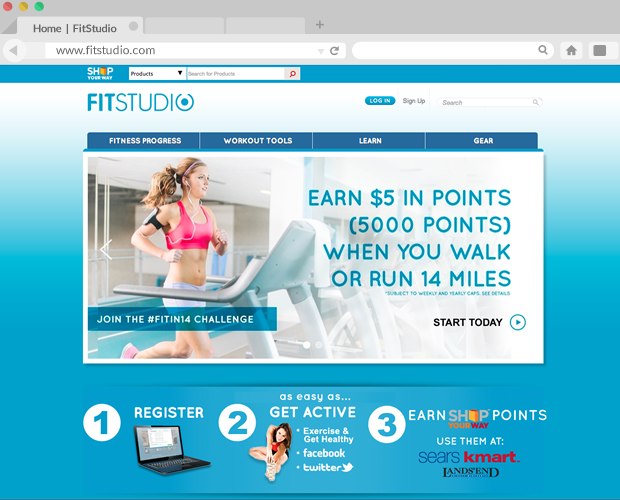 Fitstudio was started by Sears as a way to engage with communities of health and fitness-minded people while also providing valuable online fitness and health resources. Naturally, the end goal Sears has in mind is to sell more of their products. The company leverages the power of content marketing and a well-stocked “marketing toolbox” to make Fitstudio an effective way to draw interest from fitness-minded consumers. Fitstudio features valuable health-related content from top fitness experts who are able to attract an audience to the site. Remember what we've said on this blog before: it's important that you use various online marketing tools such as email and social media to drive traffic to your website. Sears does this with Fitstudio. Not only do they draw traffic to Fitstudio by providing community members with engaging content that makes them want to return to the site again and again, they announce their content and drive traffic to the site with email marketing and relevant social media channels including Youtube, Facebook and Twitter. To understand the power of online community and to learn from Sears' Fitstudio example, try to think for a moment of the mindset of someone who is unhealthy and unfit. Someone who want to enjoy a new, healthy lifestyle, but they are afraid. The task seems daunting and lonely. They are confused and overwhelmed trying to decide which way to turn. Put yourself in this person's shoes for a moment. Now imagine you have just come across the Fitstudio website. You scroll halfway down the page and see encouraging, supportive words and images inviting you to “come be part of the team” and offering you simple, easy-to-follow health-related advice. Do you think you'd be very interesting in joining this online community? Do you see how Sears could use this powerful win-win strategy to skyrocket their sales of fitness products to a very eager audience? As you build your online community, learn from companies who have done it very well, like Sears, and follow their example. You may feel overwhelmed right now. You understand how an online community could benefit your company, but you're wondering where and how to start. You see the outstanding example offered by Sears' Fitstudio but can't imagine yourself with such a large, thriving, multifaceted online community presence. Remember that you can start small and grow over time. You may start your online community with an initial goal of building a robust social media presence and a blog, for example. If you run an e-commerce site, you might want to start an online community for product reviews. As you grow your online community, make it your goal to leverage a number of different online approaches. 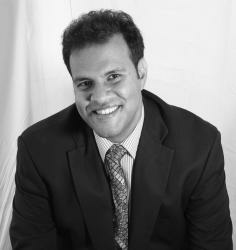 Incorporate social media, email marketing, content marketing, etc. Earlier we talked about a “members only” monthly subscription site. Some online marketers find this to be a goldmine of recurring monthly revenue and opportunities to sell products to their members. Think about it: not only are you enjoying the revenue each member pays you month after month, you also, if you've “done it right”, have a thriving, engaged community that trusts you, listens intently to what you have to say and respectfully views you as a thought leader in your niche – a niche they are passionate about. Wow! Talk about “fertile soil” for planting the seeds for new sales! 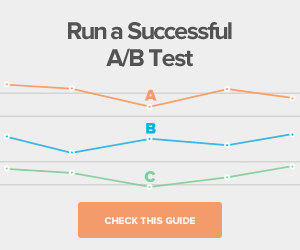 But What Does This Have To Do With Landing Pages? A lot. The ultimate goal of starting and running an online community around your products or services is to sell more of them. 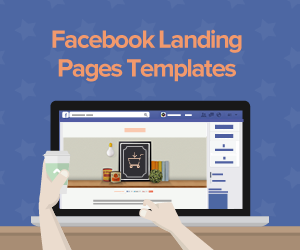 And to maximize your online marketing conversion rate (that is – the number of sales you make), you need landing pages, landing pages that rock! 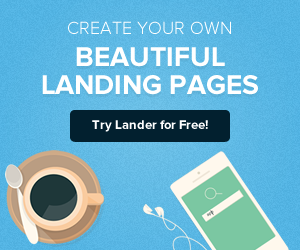 In addition to solid copywriting, clean, simple design and relevant graphics that help you close more sales rather than driving prospects away, you want a first-class landing page platform like Lander, the easiest-to-use landing page platform in the Universe! 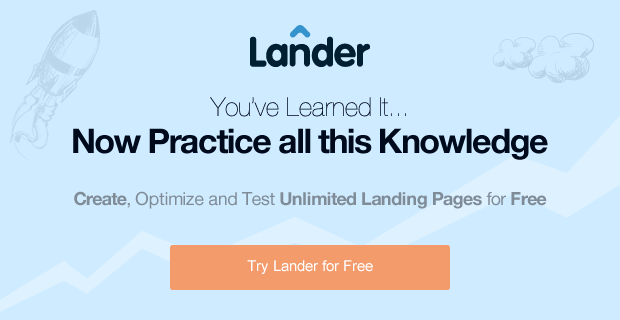 And like I said a moment ago, Lander is the easiest-to-use landing page platform in the Universe! It features a simple, intuitive, drag-and-drop editing tool and an easy-to-use form builder. And guess what! 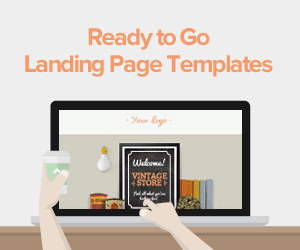 Despite all these wonderful features, here's the Lander “feature” you just may love the most: you can try out any of our world-class landing page templates for free and with no obligation. So try Lander today! And if you have any questions, by all means contact us. We have answers, and we'd love to visit with you!